Endeavor Homes can assist in providing individually designed construction financing to qualified borrowers. Conventional construction loans may be obtained in most areas of delivery for periods up to 12 months to complete your home. Your cash or land equity supplements the balance of normal lender requirements. Endeavor Homes does not provide the financing, but works with many lenders who will provide the construction funds for our owner/builder customers, without the requirement of a contractor's license. These lenders can assist you with your construction and permanent loan needs. 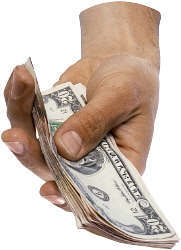 Our lenders offer competitive interest rates that may vary depending on your qualifications. Items that may be financed include the Endeavor Homes package, the land, foundation, utility hook-ups, well and septic systems, rough plumbing, permits and fees, subcontractor labor and amenities to individualize your home. The Endeavor Homes representative in your area will help you complete a Cost Breakdown with rough estimates. Once your plans are completed you will want to obtain firm bids for any work to be subcontracted or purchased using loan funds. The final Cost Breakdown should then be submitted to your lender. The processing of your loan may take some time, so please try to be patient in the event that it does. Lenders insured by federal agencies are required by law to collect certain documents in order to justify making the loan. The process could be lengthy depending on the complexity of your situation. Remember, Endeavor Homes is here to work with you throughout the process.